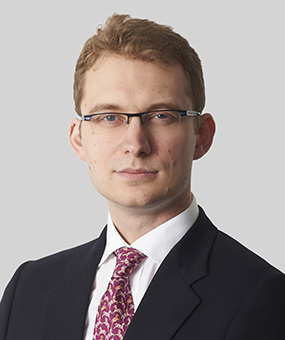 Described in legal directories as an “one of the best juniors around” and particularly noted for his “excellent cross-examination”, William has a busy specialist practice in of all aspects of construction, engineering, energy and PFI disputes including claims relating to payment, defects, delay and disruption and professional negligence. William is a popular choice as an advocate in the Technology and Construction Court, where he has a wide experience of both trials and interim applications and has a particular expertise in adjudication enforcement actions. He has also acted in the Court of Appeal, Commercial Court and Chancery Division. In addition to domestic court work, William is regularly involved in substantial international arbitrations including claims arising out of projects in Qatar, Oman, Dubai, Yemen, Greece, Spain, Africa, Singapore and Russia. William is also regularly instructed in domestic adjudications and arbitration to advise, prepare written submissions and act for parties at hearings. He is also a TECBAR accredited adjudicator and has received appointments as adjudicator and arbitrator in both domestic and international disputes. William is heavily involved in academic and practitioner texts on construction law, being an Editor of Chitty on Contracts (32nd Ed), an Editor of the Construction Law Reports and a Contributor to Keating on Construction Contracts. Acting for a water company in relation to a major delay claim arising from upgrade works to a waste treatment facility in Essex. Acting for a building contractor in a High Court TCC trial concerning issues of delay and valuation under a cost plus contract. Acting for a Sub-Contractor in a substantial delay and variations claim arising out of the construction of a mechanical and biological treatment facility in West Sussex. Acting for a developer in a High Court TCC trial concerning the application of the prevention principle. Counsel for a major contractor in a multi-million pound final account dispute in respect of an art gallery in East Anglia. Acting for a leading outdoor advertising company in a dispute regarding delay and disruption to a project to extensively upgrade and enhance the advertising estate on a major metro system. Acting for a contractor on an arbitration concerning a major road interchange project in Dubai. Acting for an engineer on an arbitration concerning a major road project in Hong Kong. Acting for the civil works contractor on a TCC claim relating to a power station in Wales. Acting for a solar farm developer in a claim arising from a failure to connect several solar farm sites prior to the deadline for a higher rate of ROCs. Acting for a contractor in a payment claim by a sub-contractor arising from the construction of a thermal power station. Acting for an electricity supply company on a dispute regarding wrongful termination of the supply contract. Acting for a group of homeowners in the TCC and Court of Appeal in a claim against a surveying architect who failed to identify defects in a new-build block of flats during construction. Acting for the ground engineering contractor in a five party TCC claim involving subsidence of a building in Mayfair. Acting for an engineering consultancy in respect of allegations of negligence in ground investigation work. Advising and drafting pleadings for the owner of an industrial unit on a claim against the design and build contractor and engineer in respect of water ingress. Acting for the owner of a factory on a claim regarding defective design of a waste treatment plant. Advising and representing a facilities management firm in an adjudication concerning fire stopping defects in a hospital. Advising and representing a facilities management firm in an adjudication concerning the cost of transferred employees at a hospital. Advising and representing three councils in adjudications and Commercial Court proceedings concerning the excess profit share provisions of a long term waste management agreement. Advising and representing a waste contractor in an arbitration arising from waste being diverted from an energy-from-waste plant to landfill. Advising a waste contractor regarding the effect of price changes on the energy from waste payment provisions of its waste management agreement. Acting for an EPCM Contractor in a substantial delay and breach of contract claim arising out of a substantial infrastructure project in Qatar. Acting for the contractor in an arbitration arising from the termination of a mine shaft sinking contract in Russia. Acting for the purchaser in an arbitration about termination of a contract for construction of a deepwater drilling vessel. Acting for the owner in a dispute about delay and disruption to an oil refinery upgrade project in Greece. Acting for the contractor on a claim arising out of the construction of a major road interchange in Dubai. Acting for the contractor on a money claim arising out of rail works in Africa. Acting for the contractor on substantial road improvement projects in Oman and Yemen. Acting for Referring and Responding Parties in all areas of expertise identified above. Counsel in numerous adjudication enforcement actions in the TCC including stays of execution and adjudicator fee disputes. Editor of the Adjudication Society Newsletter, 2009-2011. "A very cerebral lawyer" with "excellent legal knowledge and analysis". "You're always in safe hands with him - he's strategically and commercially excellent." "Great specialist knowledge and a confident court presence." "Hardworking, clever, responsive and decisive." "One of the best juniors around. Cerebral, friendly and gives no-nonsense advice." Editor of Chitty on Contracts, 32nd Edition. Contributor to Keating on Construction Contracts, 9th and 10th Edition. Editor of the Construction Law Reports.